To provide an Early Childhood Program that fosters the growth of the whole child. Our teachers are experienced, well qualified and certified by the Commonwealth of Massachusetts. They are dedicated, talented and committed to the field of early childhood education and to the individual and group needs of young children. Our teachers are lifelong-learners who continue to further their education through coursework and trainings. The supplemental teaching staff includes specialists in the area of music, movement, story telling and yoga. Tuition is a yearly fee. Upon acceptance into the program, an enrollment confirmation form and an enrollment deposit is due. This deposit is crucial as it holds the placement in our program. Enrollment deposits are deducted from the yearly tuition fee. Tuition payments are broken down over a ten (10) month period. Additional payment schedules are also available. Please call the school office to obtain current tuition rates. We strongly believe that no child should be denied access nor the opportunity to experience preschool due to lack of financial resources. 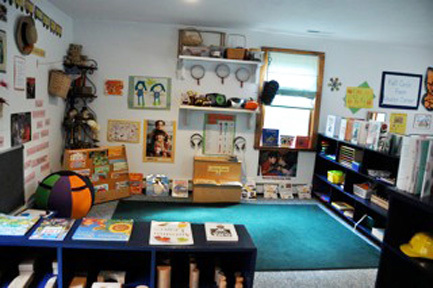 Full Circle Farm Preschool offers partial scholarships, when possible, to those families in need.